Civic duty has kept me from my Patch for far too long. But justice has now been served and I can return to the muddy banks of the Dee to start playing Spring catch-up. I have missed loads of the action so with a day off today and with favourable weather I just had to get out. A south easterly wind had blown up following the deluge of Sunday and with it came migrant birds. Lots of them. Brought north and west with the wind, right to my Patch. I sit on the train at West Kirby thinking about what could come my way and on the journey to Moreton I get a taster. I spot 4 Wheatear from the train window between Meols and my destination. This is a good sign. 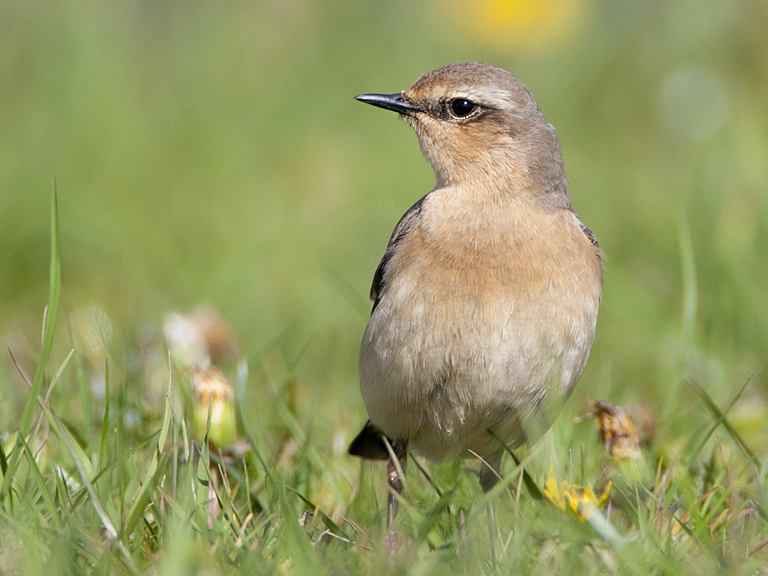 If I could make a wish list for the day it would be Wheatears, lots of, Whinchats, a couple, and Yellow Wagtails, just one would do. Off the train and straight to the paddocks by Leasowe Lighthouse. I had a plan to wander around the whole site but I ended up staying here all morning. All of my wishes came true! They bound around the paddocks hhovering up slugs and worms that have been brought up by the wet weather. Looking through binoculars and camera you can see several birds in one field of view. 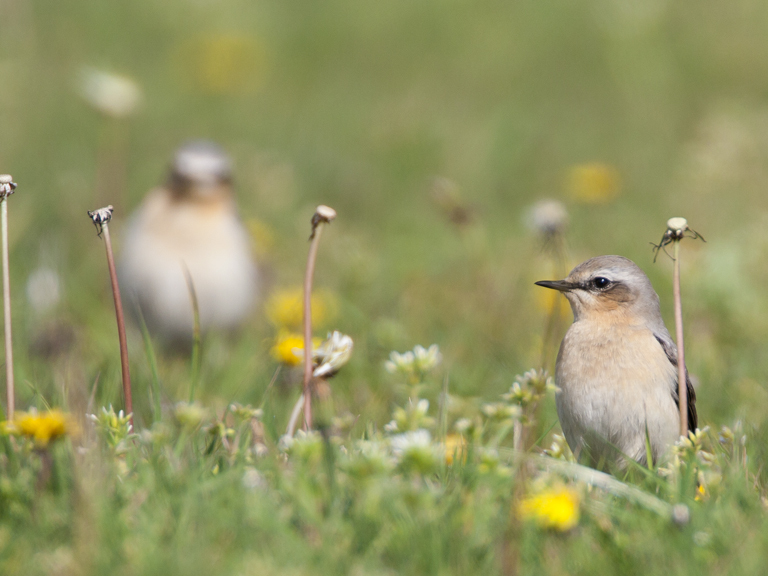 The paddocks are partially flooded from the incessant rain from Sunday, not great for the horses but the Wheatears are taking full advantage, bathing worn feathers on this migration stop off. Droplets of water fly from feathers mimicing the rain of 24 hours ago. 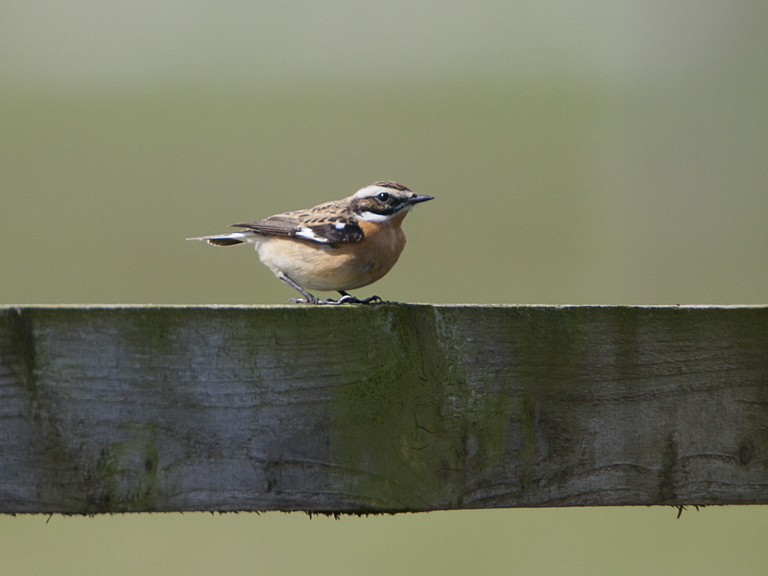 On the fence bisecting 2 paddocks sits a Whinchat. This is a bonus. I was expecting Wheatears and hoping for Whinchats. There are 2 that I can see (a thirds appears after I have gone), they stay on the far side of the field, never getting close enough for good pictures, but I'm happy to get any after my recent drought! One briefly drops into a puddle for a bath before flying off to paddocks out of bounds to birdwatchers, more drops of water left flying in its wake. 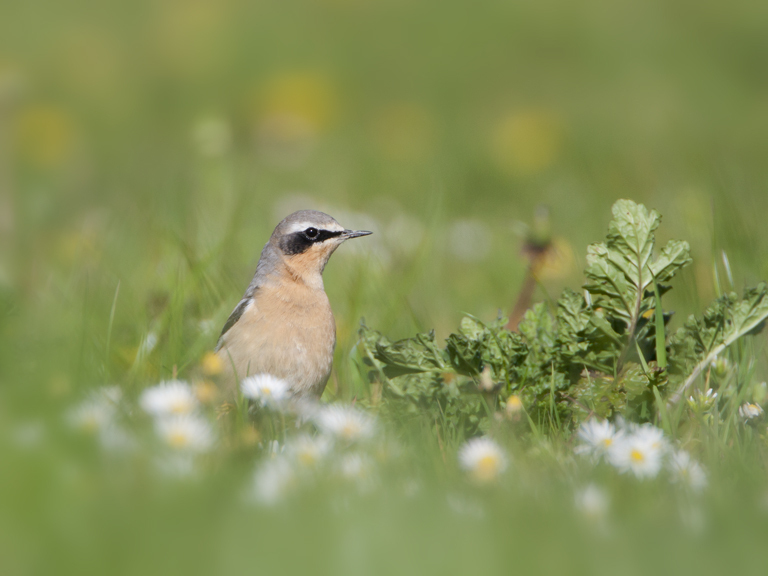 I respect the boundaries I cannot cross and turn my attention back to the Wheatears. As I get a few more pictures another birder calls a Yellow Wagtail. 2 gloriously bright males are mooching with the other birds, blending in perfectly with the dandelions that stud the grass. 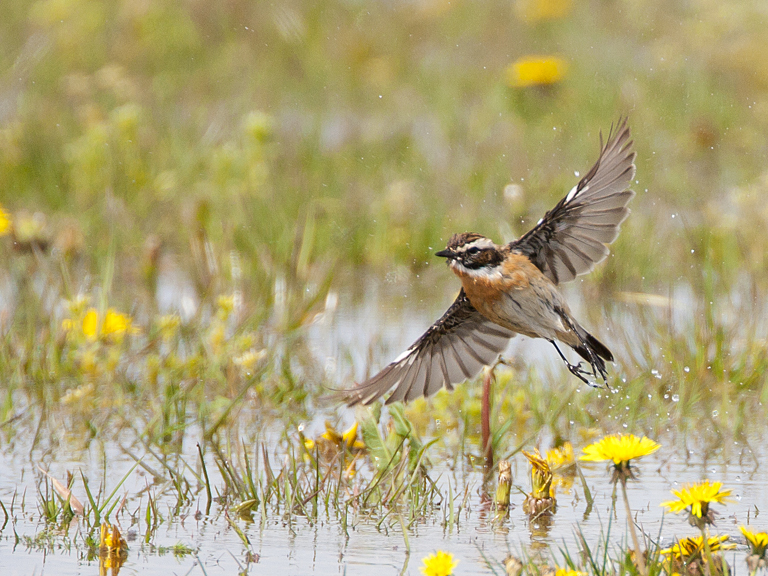 They are even more reluctant to be photographed than the Whinchats and I don't have the time to do them justice. It is great to watch them, I always feel like I've been treated when I catch up with one. I settle down on the path, damp seeps into my jeans but I don't mind too much. 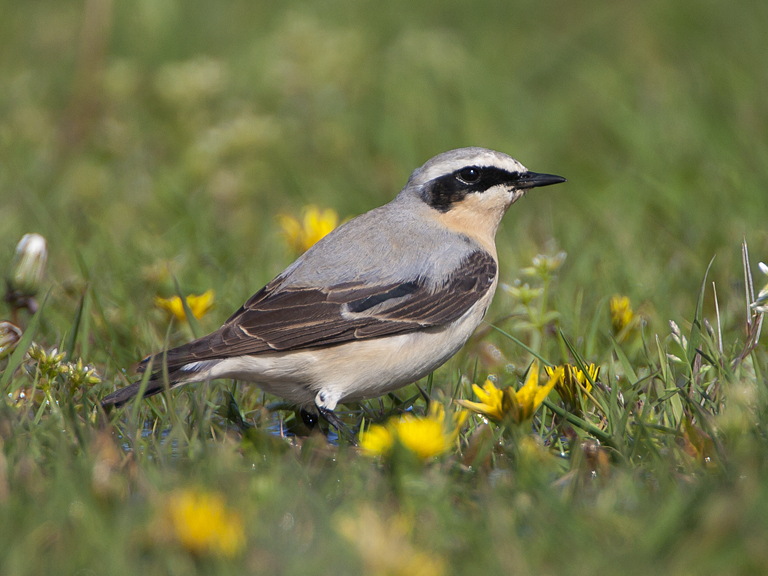 I figure that the Wheatears will wander in close. Over a couple of hours they've demonstrated no fear of the walkers and dogs that have passed along the path, and if I sit tight I might get some portraits of these smart little birds. Being back out on the Patch would have been treat enough but to walk into a fall of migrants was awesome.